...then you might enjoy my most recent short story, entitled "The Wind" -- about a group of jewelry store thieves who get stranded in the remote woods during winter while hiding from the law, and struggle to survive amidst freezing temperatures, starvation...and an encounter with a ravenous wendigo! 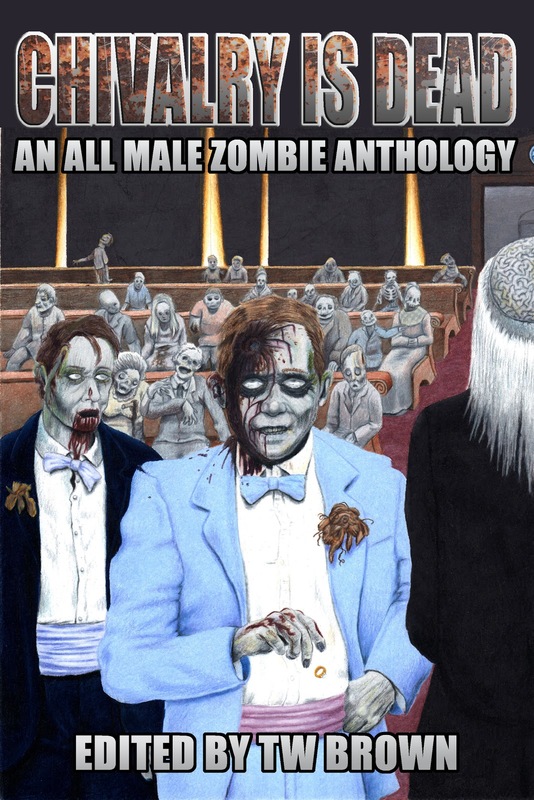 Stumbled across a flattering review for the book, Chivalry Is Dead [my short story, "Last Supper," appears in this anthology], on the Amazon.com website. I love reader feedback! Click HERE to read the review. ...entitled, "Affairs in Order" -- a character driven tale that puts a new spin on the cause of the zombie apocalypse. Very pleased with how this story turned out--I'm going to set it aside for a few days before putting it through the editorial process. Then, I'll need to decide between a couple of promising ideas I have for which short story to begin working on next!